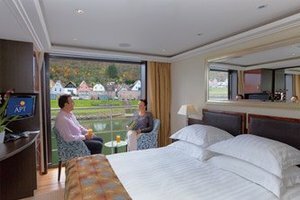 The staterooms on the AmaCerto are exceptionally elegant and spacious for a river cruise boat. 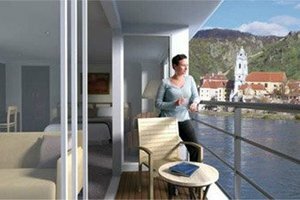 The innovative twin balcony design optimizes the space in each cabin, and their floor-to-ceiling glass doors let in lots of light. Bathrooms are decked out in marble and glass, and the showerheads can provide a gentle rain or a regular shower. Each cabin comes with a flatscreen TV, European and American-style electrical outlets, and free unlimited Wi-Fi. The culinary options on the AmaCerto are fresh, delicious, and artfully prepared. Main dishes consist of a variety of soups, salads, entrees and desserts, and are often inspired by the region the ship is visiting. 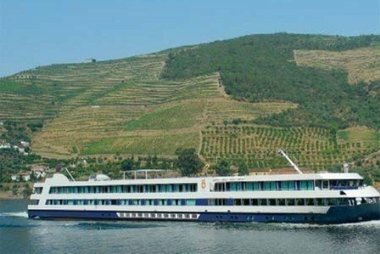 Expect Hungarian goulash, Bavarian sausage and Wiener Schnitzel on Danube cruises, as well as more healthy fare such as yogurt, fruit and salad. Most drinks are included in the cost of the cruise, and wine flows freely during lunch and dinner. The AmaCerto offers destination-intensive cruising with a strong emphasis on shore excursions and cultural immersion. Explore European cities under the guidance of an entertaining and knowledgeable tour guide, or choose your own adventure and travel around the city by bike. The AmaCerto has a fleet of bicycles onboard which passengers can use during ports of call at no charge. Onboard activities are low-key and generally geared towards adults, though children over 4 years old are allowed on the trip. 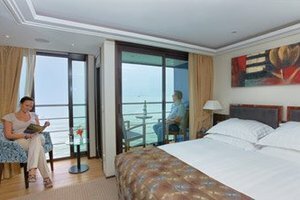 A spacious sun deck provides plenty of space for relaxation, and the ship also has a piano bar, library and lounge. There is a spa facility offering massages and beauty treatments onboard, and the AmaCerto offers a high number of wellness-themed cruises. One must-see on board is "Erlebnis," a celebrity chef-style cooking demonstration where guests can watch master chefs create gourmet dishes before their eyes. 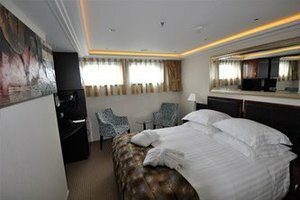 The cost of Erlebnis is included in the cruise, and spots fill up quickly. The dress code on the AmaCerto is country club casual, and passengers are encouraged to wear comfortable shoes and weather-appropriate clothing for shore excursions. The Captain's Dinner takes place once per cruise, and is the only dinner event with a formal dress code. Men typically wear jackets and ties, and women wear cocktail dresses or skirts with nice tops.